Tablet con teclado Asus Transformer Book T100taf 10,1"
El estado es Usado, pero se encuentra en perfecto estado, podría pasar como nuevo. Sistema operativo Windows 10. Label Asus. Manufacturer Asus. Publisher Asus. Part Number T100TAF-BING-DK024B. Model T100TAF-BING-DK024B. Notebook, tablet PC. 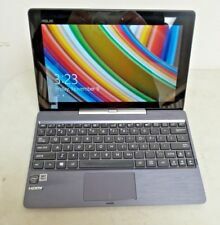 Asus T100TAF. Pc portable 2 en 1, clavier detachable pour utilisation en tablette. Capacidad del disco duro 64 GB. Sistema operativo Windows 10. Haremos todo lo posible por ayudarte. Desde que empezamos mantenemos un100% DE VOTOS POSITIVOS en todas nuestras transacciones. En caso contrario lo especificamos en la descripción. Se non si rimuovono saranno presenti aloni e/o righe. SUL FLAT DEL VOSTRO TOUCH. In caso di restituzione si dovranno rispedire ogni parte ricevuta. Nessun problema! Non esitate a contattarci. Vi invieremo un preventivo gratuito senza impegno. OVP und Zubehör. Alle Updates durchgeführt. 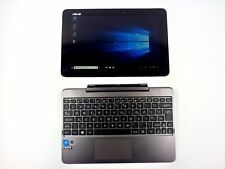 ASUS T100TAF. Disco duro: 32 GB eMMC. SSD-Festplattenkapazität 32GB eMMc. X100TAF ASUS 10.1 "tocar libro de transformadores de pantalla '. Ofrecen aquí en usa ASUS notebook 2 en 1. Marke ASUS. Windows 10 64 bits pre-instalado. 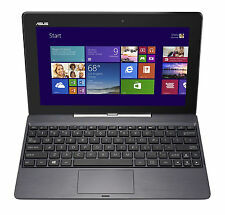 ASUS T100TAF. HDD: 32GB eMMC. Das Notebook funktioniert einwandfrei und befindet sich in einem sehr guten Zustand! Dieser Laptop ist ausgestattet mit micro HDMI. Windows 10 64 Bit vorinstalliert. Display 10,1" WXGA 1366 x 768 Touchscreen. Et un câble mini hdmi vers hdmi. Sì, è elegante. Ma è anche resistente e pratico — davvero incredibile! We've also made it easy to match T100HA to your personality, with four vivid colors available: Tin Grey, Silk White, Aqua Blue e Rouge Pink. NAPPE VIDEO LCD TABLETTE ASUS T100TA. Ne pas hésiter a nous solliciter si vous ne trouvez pas une pièce parmi nos annonces. VISSERIE TABLETTE ASUS T100TA. Ne pas hésiter a nous solliciter si vous ne trouvez pas une pièce parmi nos annonces. NAPPE VIDEO LCD TABLETTE ASUS T100TAM BING. Expédition suivi gratuite. Ne pas hésiter a nous solliciter si vous ne trouvez pas une pièce parmi nos annonces. Vendu hors service. vendu avec la boite d'origine. Windows 10. NAPPE VIDEO LCD TABLETTE ASUS T100TA. Expédition suivi gratuite. Ne pas hésiter a nous solliciter si vous ne trouvez pas une pièce parmi nos annonces. Share and connect anywhere you go with unlimited ASUS Webstorage space for 1 year. 2-in-1 ultraportable notebook with a 10" detachable tablet. Need more storage capacity?. Now you can access large presentation files or countless music and movies to enjoy anywhere. Storage Capacity: 32GB Solid-State in tablet, 500GB Hard Drive in dock. 11-Hour battery life. 1.2MP Webcam. mHDMI, mUSB, mSDXC slot. Wireless Dual-Band 802.11N. Average Battery Life (in hours) 11 hours. Item is sealed, has never been opened or used. Spec's are on side if box as shown in the photos. Photos are of actual item you will receive. Ending Soon. Condition: This item is fully tested and operational. Item shows minimal signs of wear from previous use; light scratches, slight scuff, and the dock is missing two rubber feet. Buy It Now. All photos are of our worst conditioned item in a lot. You will likely receive an item of equal or better quality than the actual photos. Screen is in great condition. Includes tablet and detachable keyboard. Including the unit only as shown in the picture, nothing else. Ending Soon. MPN Does Not Apply. Buy It Now. Also, we do not have a price matching policy. We will not price match to a lower price. Important Information. Color Grey. Average Battery Life (in hours) 11. Graphics Card Ram Size 128 MB. Processor Count 4. Rear Webcam Resolution 2 MP. Number of USB 3.0 Ports 1. Hardware Platform PC. Item model number T100TA-C1-GR(S). 32GB SSD Storage. Ending Soon. Important Information. 2-in-1 Touchscreen Tablet T100T. Charging cable. Ending Soon. Buy It Now. Also, we do not have a price matching policy. We will not price match to a lower price. Important Information. But that’s not all. 11-Hour battery life. 1.2MP webcam. Bluetooth 4.0. MicroSDXC slot. Storage Capacity: 64 GB solid-state in tablet. Works on all T100TA T100TAF T100TAM series, such as T100TA-C1-GR, T100TA-C1-RD, T100TA-C1-WH, T100TAM-C1-GM, T100TAF-B1-BF and more. Flex Conexion Asus Transformer Book T100 Original ASUS Transformer Book T100 T100T T100TA TF100TA. 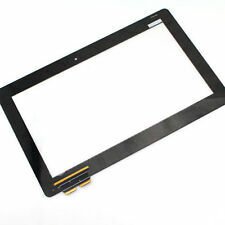 Écran LCD Asus Transformer Book T100 T100T T100TA TF100TA B101XAN02.0 Original D'Occasion. 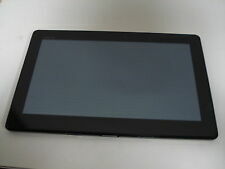 Pantalla LCD Asus Transformer Book T100 T100T T100TA TF100TA B101XAN02.0 Original Usado. Modulo Antenne WiFi Asus Transformer Book T100 Original Asus Transformer Book T100 T100T T100TA TF100TA. Haut-Parleur Gauche Droit Asus Transformer Book T100 Original ASUS Transformer Book T100 T100T T100TA TF100TA. Modulo Conexion Caméra Frontale Asus Transformer Book T100 Original ASUS Transformer Book T100 T100T T100TA TF100TA. Votre appareil doit être compatible OTG. OTG Adapterkabel. USB A (Standard USB). Compatible avec les appareils suivants. Storage on eMMC inside tablet. 802.11 Wifi Connectivity. Bluetooth enabled. Windows 8.1. Product Features Buy It Now NewYork. Windows 8.1. Storage on eMMC inside tablet. 802.11 Wifi Connectivity. Bluetooth enabled. Average Battery Life (in hours): 3 hours. Power Source: DC. We would love to be given the opportunity to work with you to resolve any problem you may have. Connectors: 1 USB 2.0, 1 USB 3.0, 1 HDMI, audio jacks: headphone output, card reader: microSDHC. It is in working order. The LCD and touch works perfectly. Touch can be disabled in device manager.